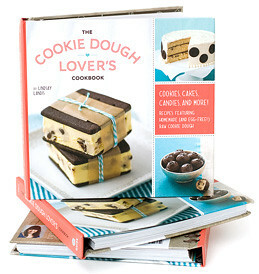 The newest fad to cookbook baking is the highly popular “The Cookie Dough Lover’s Cookbook” by Lindsay Landis. Lindsay is the author of the popular food blog “Love and Olive Oil” (where the infamous chocolate chip cookie dough truffles came about), is a graphic designer/small business owner by day and a food blogger/cookie dough addict by night. She lives in Nashville with her husband, Taylor and their three crazy cats. For those of you that simply love chocolate chip cookies just for the sole reason of eating the cookie dough, you are in luck. Here is a cookbook dedicated to all things cookie dough, egg free too. No worries of salmonella here. Inside The Cookie Dough Lovers Cookbook you’ll find over 50 recipes. These recipes aren’t your run of the mill cookies, in fact, most of the recipes aren’t even cookie. Each recipe features homemade (and egg free) raw cookie dough front and center. 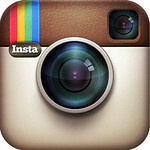 Visit cookiedoughlovers.com to get updates, freebies, and events. The cookbook is laid out into different sections of what you can do with cookie dough. A candy section; cookies &, brownies; cakes, custards & pies; frozen treats; indulgent breakfasts; and fun snacks & party fare. In addition, Lindsay also gives us a section on other cookie dough flavors, vegan/dairy free, gluten free, peanut butter, oatmeal raisin, sugar, almond, gingerbread. Throughout the book you find handy guides as well as key ingredients. My first question, naturally was going to be “why a cookbook about cookie dough?” and then I thought why not. As I was flipping though your cookbook, I read that as a child your mom was the best chocolate chip cookie maker ever. And you, on occasion, were found with your whole head in the bowl trying to eat the cookie dough. Do you remember that moment? What other memorable cooking/baking moment do you remember that stayed with you sparking your career in baking? I grew up baking, so my memories of childhood are filled with batch after batch of chocolate chip cookies. I was also quite the mini-entrepreneur, hosting regular bake sales at the top of our driveway. With each interview I do, I love finding out about what kind of taste-testers each cookbook authors have. Who do you have? I know you have your husband. Anyone else? I can only imagine the line up of people at your door if they found out what you are creating in your kitchen for this cookbook? It’ll be no surprise that I have very well-fed friends and neighbors. I should also mention my mom, who single-handedly tested a good 2/3 of the recipes in the book. I couldn’t have done it without her! Which recipe from the book, gave you the most challenge? Which one was the easiest? Perhaps the fudge. I initially tried to do a traditional fudge. Let’s just say me and cooked sugar don’t quite get along. There were many batches of fudge that ended up in the trash. Eventually, I went with a simpler powdered-sugar based fudge, and the result is out of this world. I’m always amazed at some of the time constraints editors put on finished cookbooks. From start to finish, how long did it take you to hand in the finished product to your editors? Was there a timeframe? 4 months, including photography. Yes, it was a stressful 4 months. We were pushing to get the book out as soon as we could, before someone else beat us to it! Were there any recipes that didn’t make the cut? Cookie dough macarons. Perhaps one of my favorites (I love anything almond!) but the recipe was so finicky that I couldn’t get it to work on a regular basis. And I figured if I couldn’t even follow my own recipe, probably best if it wasn’t published. I’ll keep working on it, because (when they work!) they’re too good not to share! Favorite brand of chocolate to use in cookie dough? I know I’m a firm believer in the highest ratio of cacao works best. For your standard chocolate chip cookie dough semi-sweet is my favorite, and the fact that they’re available in a mini size (which gives a much better dough-to-chocolate ratio in my opinion) is key. I went through an unbelievable amount of mini chocolate chips during the testing process. Have you ever thought about opening up a cookie shop? You know selling some of your most popular recipes? Never. I like sleeping in too much! Baking for me is still just a hobby, and I think I’ll keep it that way. For your food blog loveandoliveoil.com, when looking at recipes to try or create next, what sparks your interest most? My sometimes odd cravings dictate much of it, so does seasonal produce and ingredients. If I see something new and interesting at the farmer’s market I’ll pick it up, even if I don’t have any specific plans for it yet. Don’t you love how the “cookie dough movement” is changing? Cookie dough is no longer just for cookies. It’s for candy, pies, cakes, etc… I wonder why it took so long to get here? I have no idea. When I first thought of the concept for the book, I was almost shocked no one else had done it yet. Is there a cookie dough you have yet to experiment with? I’ve covered most of the classic flavors, from peanut butter to sugar cookie to gingerbread. 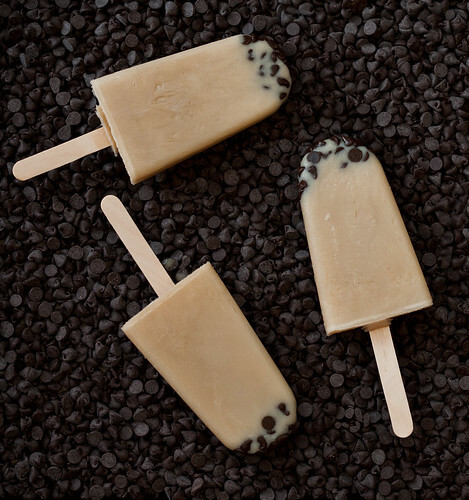 The majority of the recipes are chocolate chip, but with a few modifications can easily be made into a different flavor. Are there certain foods you just love to experiment with and/or write about? Desserts! I have a definite sweet tooth and I think it shows. What country would you like to visit most for their food? I’d love to go back to Italy (my husband and I spent our honeymoon there a few years ago), also maybe France or Spain. Favorite junk foods (besides chocolate chip cookie dough)? Peanut butter cups, especially the dark chocolate ones from Trader Joe’s. Is there a personal favorite recipe in your cookbook? Or do you still just love to eat the cookie dough on its own? If I HAD to pick a favorite it’d be the cover recipe - the Old Fashioned Cookie Dough Ice Cream Sandwiches. The dark chocolate cookies are soft and slightly salty, and prove to be the perfect compliment to the rich cookie dough ice cream. Is there a second cookbook in the works? There IS! I haven’t officially announced the topic yet, but I’ll say that it’s pretty much the polar opposite in terms of subject matter. To order a copy of this cookbook click here or the image. If you'd like a chance to win a copy of her book, leave one comment telling us what kind of recipe/creation you'd like to see made with chocolate chip cookie dough. Please have your email address in the signature line and/or in the comment. Anonymous comments will not be counted. We'll do the drawing July 18, 2012. I would love to see cookie dough muffins! I would definitely like to see a recipe for a cc cookie dough donut. YUM!!! I would love to see an amazing cookie dough cake, with chunks of cookie dough stuffed inside, cookie dough frosting, chocolate chips in the cake...and whatever else to take it to the extreme! Cookie dough brownie or cheesecake. Cookie dough peanut butter pie! I would die for a chocolate chip milkshake! Cookie dough alfajores would be dreamy, I think, with some dulce de leche, mm! how about cookie dough pudding parfaits? Cookie Dough Scones. That might be interesting! Awesome giveaway! How about cookie dough fudge?? I just want to make the cookie dough pops! I would love to see those macaroons come to fruition! A cookie dough smoothie might be interesting! I would love to see cookie dough flavored granola...I don't know how you would do it, but I love cookie dough and I love crunchy granola on my breakfast. I have yet to make the cc cookie dough ice cream, which I'm certain she has a recipe for in the book. cookie dough chocolate cream pie...yum! How about cookie dough iced coffee! That sounds good to me! 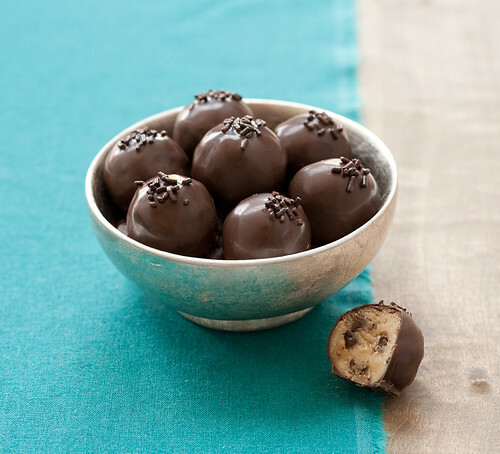 I love all of the cookie dough truffles that are out there! 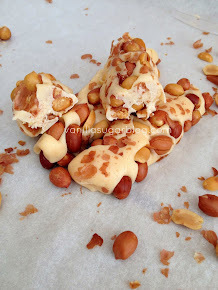 I have never seen peanut butter cookie dough truffles and I would love to see those! 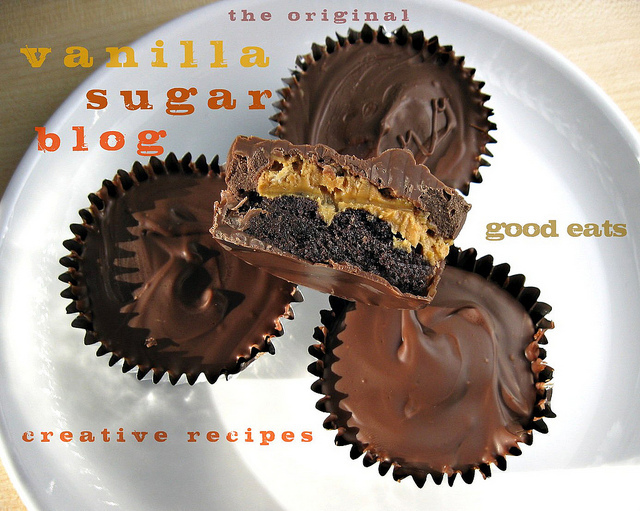 Oooh maybe a fun twist on a Nanaimo bar? Would love to see Cookie Dough Marshmallows! I'd love to try cookie dough ice cream sandwiches! YUM! I'd love to see some type of creation w/ cookie dough and pretzels. I love me some sweet and salty! That's a tough one. I am going to have to go with some version of a cookie dough cheesecake since this blog always makes me think of cheesecake. Cookie dough pancakes and/or french toast!! Yum! I am down with ANYTHING cookie dough :) Cheesecake sounds fab however! cookie dough pie sounds delicious! dark chocolate chocolate chip Soda! Then take two hunkin' scoops of vanilla ice cream for a float. How about cookie dough frozen yogurt! I would love to see a cannoli, infused with a chocolate chip cookie dough type filling. That would be amazing! Cookie dough ice cream (or just the yummy-looking ice cream sandwiches)! 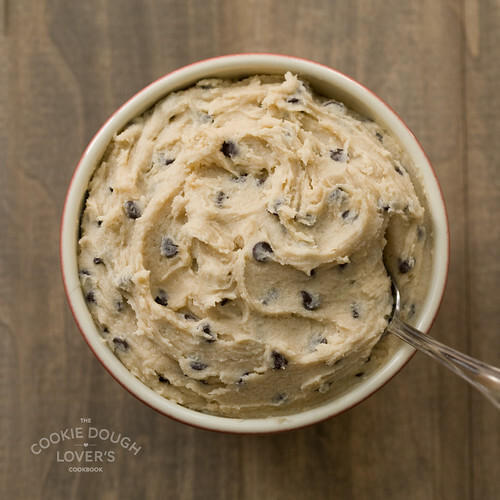 I would like to try cookie dough peanut butter...2 of my favorite things! oh wow, i love the idea of a cookie dough macaron :) keep working on it, lindsay!! Cookie dough chocolate chip cookies - I know, it seems redundant. But what if you bit into a regular chocolate chip cookie and somehow, someway, there was a nub of chocolate covered cookie dough INSIDE? cookie dough croissant! some sort of cross between pain au chocolat and an almond croissant. Heaven. Maybe cookie dough granola bars?! I would LOVE this cookbook! I have great memories of eating the dough as a kid. It's hard to not ask your kids to do the same! Cookie dough pie? A cookie dough incorporating fruit in some way. How about chocolate chip cookie dough waffles. Everyone loves waffles, just ask Donkey from Shrek. Cookie dough filled pretzel. All the way! Something that you can cook in a fire pit. Like chocolate chip cookie dough smores. I would like to see a type of brownie created.